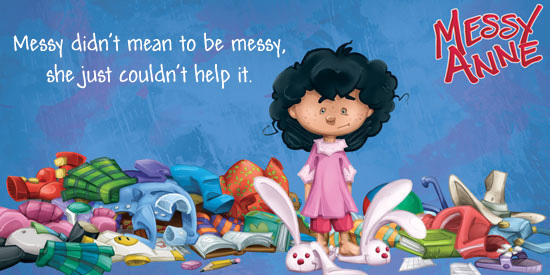 What do you want “Messy” to accomplish? D: Ideally, perhaps fantastically, I want her to inspire girls to be their own person, and boys to admire and respect girls for who they are, as individuals and not as “girls” first. 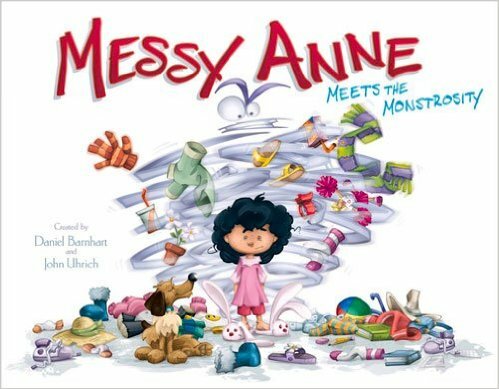 Do you think it’s ironic that Messy Anne is developed by two men and it’s primarily about women? D: Again, I don’t think it’s “about” women. I think it’s about fun primarily. And it’s also about seeing women as individuals from an early age. Just identifying that a girl can be a hero, can be an adventure star, and not thinking about her as a “girl hero” or “girl adventure star”. But still, it’s from a man. D: Yep. But that’s part of the stereotype perpetuation as well. You might rather say that as a man, who’s worked in marketing and entertainment and been married to a very strong woman and chose to adopt a girl from a third world country, that I am uniquely qualified to bash through all the stereotypes without baggage either for or against, and simply write a character that is an individual first, and not a girl or a boy character. JOIN THE ADVENTURES OF MESSY ANNE MEETS THE MONSTROSITY!!!!!!!!! 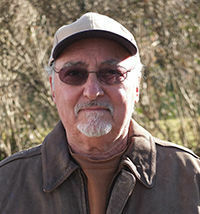 When I had the good fortune to have first novel on the Internet, it gave me an insight as to where publishing might go. I held back publishing some of my novels, and reverted the rights of others back to me as soon as I could. That day arrived and I was able to bring any books out – new and previously published. Being in the music business, I watched CD’s, Napster and the Internet change how we buy and play music radically. E-books, the Internet, ipads, smart phones and Amazon came next and the publishing business and how we buy and read books changed radically. Currently Netflix, Amazon, wi-fi, streaming and broadband are changing the TV/Cable business radically and how and what programming we choose to watch. Movies are next. Soon when a film opens it will be available in your home on your large, hi-def screen, same day, on a worldwide basis. Years ago, in 1975, I wrote an essay about all of this titled, “Your Time, Your Station.” It appeared in a book, Woman in the Year 2000, that was derived from a series of documentaries I was commissioned to do by Prentiss-Hall, but was cancelled for lack of funding. As the means of quality physical production becomes more available, and the venues and outlets of distribution become more becomes accessible, fewer and fewer middlemen and gatekeepers will remain to stand in the way of the creators. I see the future of publishing, music, TV, Cable and movies becoming more personal, ubiquitous fractionalized and accessible worldwide. In simple terms, I see a lot of people creating a lot of stuff and seeking an audience directly. As someone who faces the blank page every day, I think that’s great! I leave that up to people who know far more than me about it. I’ve have to spend my time filling that blank page. More short conversations with David, soon coming up! Whats the hardest thing about writing? I don’t see it as hard. It is what I do professionally. I guess getting to the place where it is ready to find an audience – when I am completely satisfied I’ve reached that point. Whats the easiest thing about writing? Have the characters and circumstance that take you on an interesting, absorbing and wonderful journey. More upcoming short conversations with David, stay tuned! Most humans view animals in one way, a way that never varies. But most animals have been on the planet much longer than we have. We just assume we are more evolved. Having said that there is no underling reason as to the choices I made in the ‘Sweet Tales’ stories – it’s what I was writing. I’ve watched, read about and observed animals my entire life, however. They have their natural order in nature and much of literature, Television, movies, etc. shows their natural connection to nature and spirituality. I don’t think anyone can dispute that. One example would be related to wolves. They choose to stay away from people unless we are negatively impacting the environment. I used that theme in “The Prince of Tales” story in the first book with the red fox making himself known only because there is an environmental issue that threatens animals’ lives. This is actual problem faced by many species today. CLICK HERE TO PICK UP YOUR COPY OF SWEET TALES! Why is it important that she’s a girl? D: Well, for all the reasons I mentioned above, about children and pressures and role models. Girls face that so much more than boys. I’m not saying boys don’t face it, but I don’t think it’s so defining. D: The whole body image for one. The subtle cues that you are defined in relationship to a man and all that. There’s an insistent media push that automatically plays either to or against stereotype. Girls are either plain/smart, pretty/smart, pretty/dumb, plain/wallflower etc. etc.. It’s hard to find a woman character—and I’m not saying there aren’t—just that it’s hard to find a girl/woman character that isn’t defined somehow by the stereotype and stereotypical expectations that are predominantly from a male point of view. 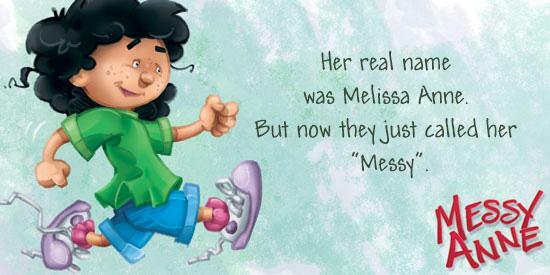 And so Messy Anne is a girl. D: Hopefully she’s just a person. A person that boys and girls can identify with. But I did make her a girl for a reason; so that boys and girls (because at that age they can) will identify with a girl that’s not fancy or prissy or anti feminine but is just a complete and exceptional person that has nothing to do with if she’s a boy or a girl. And I think at that age they still accept it. Hopefully Messy Anne reinforces and helps it. You don’t have to be a boy to be bold and have adventures and still be intelligent and well-mannered. Whats your favorite film and why? Not favorite, but most memorable. Citizen Kane. It opened my eyes to cinema techniques as storytelling devices and enhancement as did some of Fellini’s and Bergman’s work. In what format are your books available? Paper, e-books, audio books and movies. I had the first full novel on the Internet in 1998. At least a year. But the pot is filling and filling until it comes to a boil and I face that blank page to begin to put all of the thoughts and notes and passion into words. Did you have an alternative ending to Mirror Mirror? If it didn’t have a happy ending would the themes of the book have been as powerful? I made sure that the ending didn’t end with a marriage. To me, the true happiness was that Neve was able to find love for herself, as she was right at the moment. It didn’t hinge on a man, but having the attentions of a gorgeous, kind rock star sure helped build Neve’s self-esteem! (And was also super fun to write!) Being able to love herself helped open her up to someone like Taye. Life isn’t one happy ever after. It’s always different, every day. Some days we feel like we’re living a fairy tale, others a tragedy, and most of the time it just feels mundane as we’re doing the day-to-day stuff to get by. So I wanted to keep the ending open a bit. Would Neve and Taye stay together? What did the future hold? If there is enough interest, I’d love to continue Neve’s story one day. Life can’t always be happy, but when you start building up a strong tool kit to deal with the problems you’ll face, it can be a lot easier. So it would be interesting to visit Neve as a celebrity with a rockstar boyfriend and a famous actress friend. (I see Lindsey becoming a huge star, don’t you?) How would the limelight affect Neve? 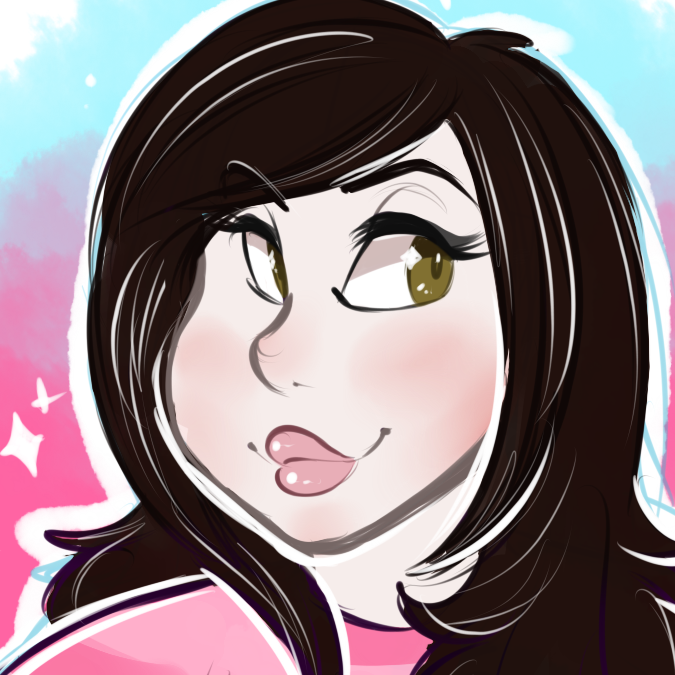 What would she want to do with her new voice if people were listening? That’s something I’ve been thinking about, and there will be a preview of what direction Neve’s life has taken in The Not-So-Little Mermaid. Click here to pick up your copy of Mirror Mirror by Katherine Noll.